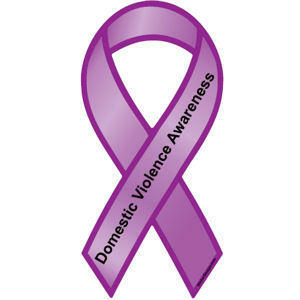 The Department of Human Services is recognizing Domestic Violence Awareness Month in October. Spokesperson Mark Beutler says, according to the Violence Policy Center, 97% of women killed in the Sooner State knew the attacker. "Here in Oklahoma, we rank 4th in the nation in the number of women killed by men, so this is a very serious problem, a very serious isue, and this is just our way of recognizing that this is something that really needs to be addressed." Beutler says this is an issue especially important for young people as 30% of child welfare cases at DHS is related to domestic violence. "Think about all those kids out there who are seeing this going on in their households, and if it's not addressed these kids will grow up with that, and it will become a generational factor. So, this is something that we really need to call attention to." He says, in Oklahoma, about 21% of women and 10% of men are victims of domestic abuse. DHS is partnering with the YWCA this month for a balloon release at the Norman Training Center Wednesday the 12th as well as a Walk and Wreath of Hope Ceremony at the State Capitol on the 27th.